The Plot: When Ahmed (Ali Mosaffa) returns to France from Iran to grant his estranged French wife Marie (Bérénice Bejo) a divorce, he discovers that she is already engaged to another man, Samir (Tahar Rahim). He’s of course fine with this because the divorce is mutual and this isn’t an American movie… or even a French movie about petty jealousy. No, instead we focus on ALL THE BAGGAGE that comes along with romantic entanglements and, more generally, with being human. I brought up A Separation because The Past comes from the same magnificent brain, that of Iranian writer/director Asghar Farhadi. Fitting in with the plight of the Internet film critic, I may not count myself lonesome or original in recognizing Farhadi’s aptitude and ingenuity, but feel compelled nonetheless. You’d think that the films of an Iranian might feel a little more foreign than they do. They focus on people who live in a world so different from my own. The Past takes place in France, which is a pretty quintessentially Western country, but A Separation concerns itself mainly with the ins and outs of Islamic religious law, and yet the characters of both movies are nothing but familiar to me. Farhadi’s greatest achievement as a filmmaker is exactly that: while telling personal stories about incredibly specific circumstances, he illuminates the universal traits that define humanity. So yes, Farhadi has, unsurprisingly done it again. I appreciate how consistently nuanced his characters are. Someone always has to do something bad at some point in the narrative, and mostly everybody takes a turn at this, but both good and bad actions are character driven. We can ask, shocked, “Why would you do that?” But in this rare case of a movie, we already know why. He draws his characters so efficiently and makes them so relatable, that we immediately understand every decision they make, whether or not we agree with it or condone it. As if that wasn’t all incredible enough, he then takes his achievement a step further, and slightly to the left: he avoids melodrama. This is a family drama about relationships and breakups and hurt feelings where everyone has their reasons and no one is 100% in the right, and yet the story never slips into melodrama. I don’t even know what to believe anymore… but I guess that’s sort of the point. Complementing Farhadi’s wonderful screenplay and spot-on direction is a strong cast of talented actors delivering dedicated performances. Tahar Rahim (the boyfriend) starts out as a handsome-but-aloof romantic lead, which you’d expect in a French drama, but over the course of the film, as Farhadi tosses more and more small character reveals into the mix, Rahim transforms this character into a layered, troubled man trying to find some shred of dignity and happiness to emerge from a terrible situation that he helped create. This rather nicely counterbalances Ali Mossafa’s role as a disconnected player suddenly but dutifully having to reconnect with estranged family, guilty and disappointed over the conclusions of the past, but striving to provide a happy ending for as many people as possible, even if not for himself. French star Bérénice Bejo takes the lead female role. I had previously only seen her in The Artist, OSS 117, and, of course, who could forget her appearance in that confusing masterpiece A Knight’s Tale? So… much as The Artist has some serious moments and A Knight’s Tale is tonally all over the place, I’m gonna go ahead and say that I had only ever seen her in comedies. Her performance in The Artist did garner an Oscar nomination, and several other nominations and wins, and I have always enjoyed her presence in things, but damn, this lady can act. 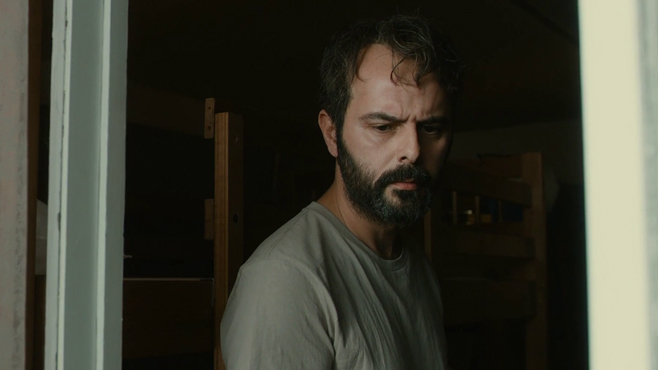 I don’t know if it’s just that Asghar Farhadi always picks amazing casts, or if he’s just damn good with actors, or both, but in both The Past and A Separation, it’s easy to forget that you’re watching actors play a scene. Everything comes together so nicely, and so entrancingly, that it feels real, like it’s not a movie at all and you’re watching real life unfold. Realism can be a dangerously hit-or-miss thing in the cinematic world, but when done properly it hits hard, makes you think, and nine times out of ten injures your soul deeply and irreparably. Damn you, realism, why can you never be fun and uplifting?